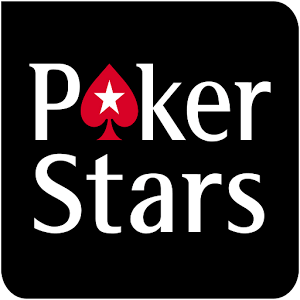 There’s no question that the two biggest names on PokerStars right now are Daniel Negreanu and Viktor Blom. Players are from the opposite ends of the spectrum, Daniel has been filling his pockets with tournament cash for years and continues to be a fixture on poker TV. Blom, meanwhile, burst onto the scene as Isildur1, dominating the nosebleed Full Tilt cash games – winning & losing enormous amounts, and then doing it all over again. Since signing with PokerStars, Blom has been taking part in a series of challenges known as the PokerStars SuperStar Showdown. Similar in format to the durrrr challenge on Full Tilt, Blom is positioned to take on all comers in a 2,500 hand session played across 4 tables of NLHE and PLO. Unlike Mr. Dwan, Blom’s contests are a little less ambitious in scope and, more importantly, he’s actually been able to finish all of them. He’s even had time to battle a satellite qualifier, beating the unlucky amateur by a single big blind. Negreanu, meanwhile, has been talking loudly about how he intends to up his online game this year. In the early months of 2011 he has spent time practicing his heads-up multi-tabling at the $5/$10 level, wracking up profits of $13,000. We now know that Daniel’s training shall not be in vain as it has been officially announced that Blom and Negreanu will face off in the fifth SuperStar Showdown. The players are set to complete two sessions on the 20th and 27th of March. Both players will start with $150,000 and, unlike other Showdowns, stacks at the end of the first outing will be carried over for the beginning of the next session. That all amounts to 5,000 hands of $50/$100 No Limit Hold ‘em played across four consecutive tables. This is being billed as a battle between two competing generations. Negreanu is of the old guard, who are often accused of lagging behind the new internet breed in terms of pure skill. For his part, Negreanu can point to his place as the second most successful live tournament player in history. Negreanu has often been accused of lacking ability in the cash game department. He has recorded loss after loss on TV shows like High Stakes Poker. Although to be fair to the genial Canadian, he has had some rotten luck when it comes to televised poker. For both Daniel and his fans, this will be a perfect chance to demonstrate that he can still cut it with the best in a ring game format. With such a large number of live poker series carrying the PokerStars branding, it is expected that Full Tilt Poker would sponsor a live series of their own. The site recently received the chance they have been looking for with the introduction of the Onyx Cup Series. If you love live poker, you have good reason to be excited about this new series! The Onyx Cup Series consists of 6 tournaments hosted in either Vegas, Europe, or Asia. You have never seen tourneys quite like this, though. They are high buy-in tourneys that start at $100k and give points for the Onyx Cup Series Leaderboard. You must earn Leaderboard points in the first five events of the series to qualify for the $250k Grand Finale event at the end of the series. Tournaments in the Onyx Cup Series feature eight-handed tables and a “shot clock”. The series gives each player a limited amount of time to act when it is their turn at the table, and the Onyx Cup’s shot clock does the same thing. Players must act within 30 seconds once it is their turn, otherwise their hand is automatically folded (or checked if there are no bets yet). To help with difficult decisions, each player receives 3 time chips to give them extra time when necessary. The extra time on these chips totals 3 minutes (two 30 second chips and one 2 minute chip). The time chips are kind of like the time bank that you get on online sites. The first two events of the series take place in Vegas. Event 3 and Event 4 will take place somewhere in Asia, Europe will host Event 5, and then the series will return to Vegas for the Grand Finale. The player with the most points when the Grand Finale is over will be immortalized on the Onyx Cup trophy and will be awarded a beautiful luxury sports car. This is also your chance to play poker on TV. The tournaments will be filmed and then broadcast on networks around the world. $100k is a lot of money, so it goes without saying that Full Tilt will host a vast number of satellites to these events. Stay tuned because the next article will feature details about Onyx Cup qualifiers. Read our review of Full Tilt Poker here.